We offer our clients a wide range of teflon Coated Products. 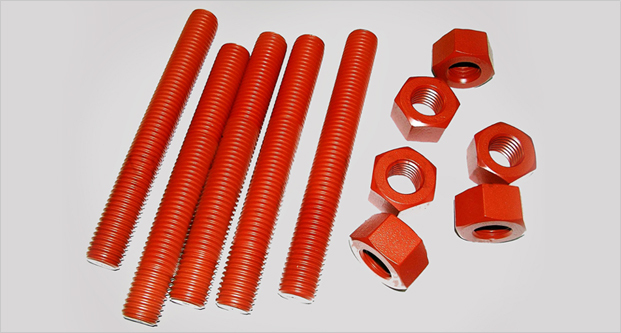 products that includes PTFE coated studs,teflon coated studs, PTFE coated bolts, teflon coated nuts, teflon coated washers, high tensile alloy product with PTFE coating, fluoropolymer line products, teflon bonded metals parts. 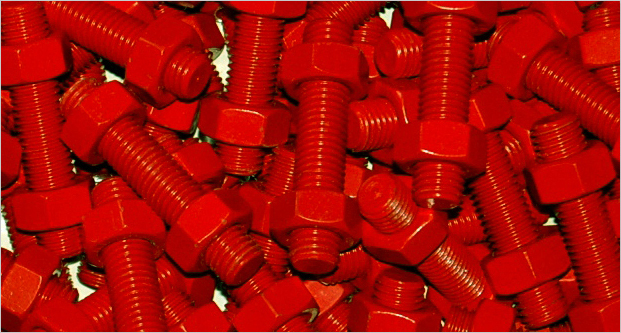 We are using advance technologies for manufacturing of our products. 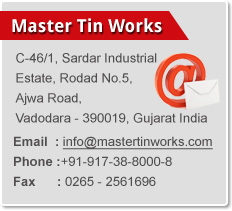 we offer these products in different specifications, Special design & customised. 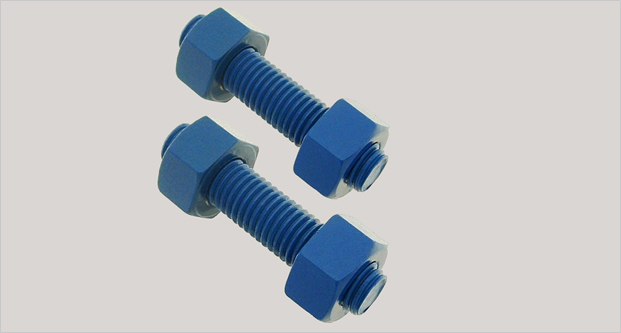 The PTFE coating on fasteners will have a uniform thickness of 20 ± 5 microns to 45± 5 microns thick. 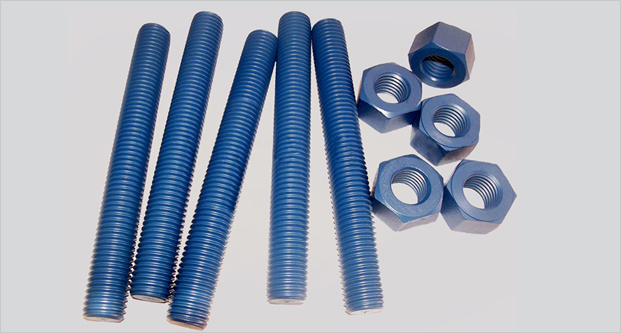 PTFE Coated product, which are widely acclaimed for their long service life.